On the surface this may seem like a fairly straightforward question, but when you probe it deeper, things quickly get more complicated. In a university setting, how a person answers this question often depends on the operating assumptions of his or her field. In economics, a human being is viewed as a rational economic agent. In biology, a human being is approached as a complex composite of cells, tissues and organ systems (to grossly oversimplify things). In sociology, a human being is primarily understood as a social agent contributing to larger institutions and societal patterns. Earlier this month, the NC Study Center brought together seventeen faculty members from UNC, Duke, NC State and Wake Forest to explore how Scripture and Christian thinkers throughout the ages have traditionally responded to the question, “What is a human being?” We partnered with UNC's Intervarsity Graduate and Faculty Ministries, the Duke Center for Christianity and Scholarship, and The Veritas Forum to host the event, the 2018 Triangle Riff Faculty Conference. 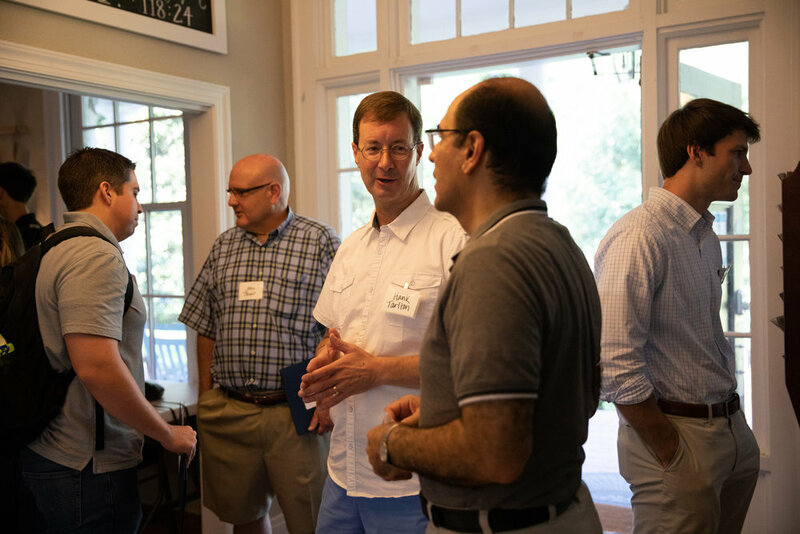 Through teaching from New Testament professor Dr. Ross Wagner and Reverend Allan Poole along with breakout discussion sessions, faculty members were challenged to grapple with the Christian doctrine of imago dei, the image of God. What does it mean to be made in the image of God? What are the implications of this doctrine for academic thought within the range of disciplines? How would our work in the university look different if we held this truth clearly in front of us? After two days of prayer, fellowship and engaging with big questions, the conference concluded with a celebratory dinner and the group dispersed. 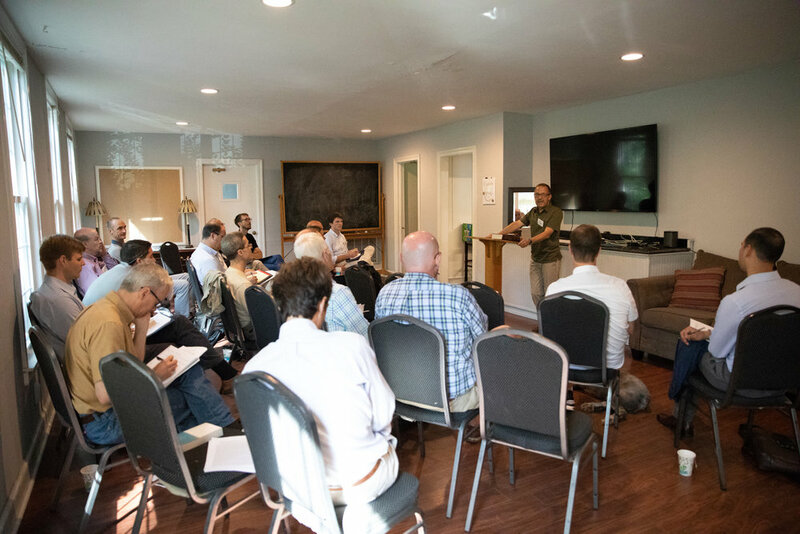 Our hope, however, is that the theological insights, practical takeaways and relationships formed at the conference will remain for a long time to come. “I was deeply moved both by the lessons on our identities as image bearers, as well as the wonderful personal interactions I had with the other faculty....Our new graduate students arrived on Monday, and as they filed into the seminar room, they all seemed to glow a little brighter as I recognized them as each bearing God’s uniquely human stamp." To see more photos from the event, please visit our Facebook page here.